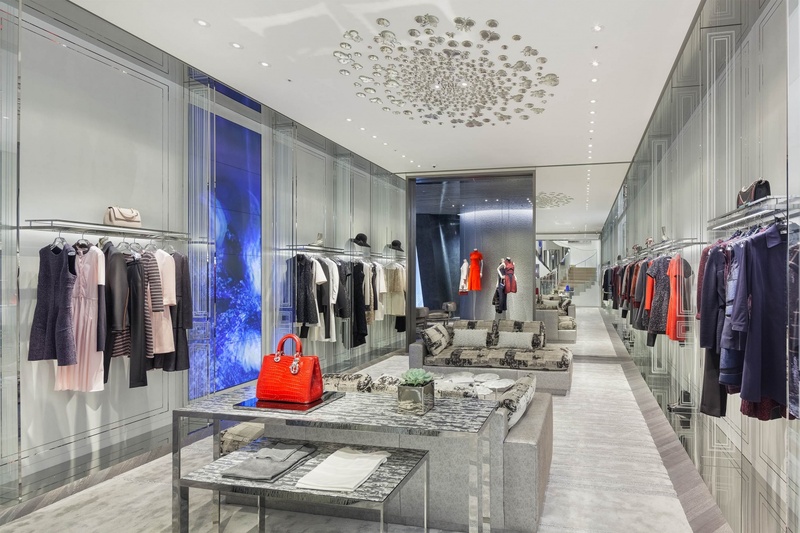 Designed by architect Christian de Portzamparc and inspired by Dior’s couture lines, the new House of Dior Boutique is all about the curves found in flowing fabric, details such as the stitching represent the fine tailoring of Dior’s Parisian couture. He started his first research on the project back in 2011, and just opened this June. “I thought about the movement of the fabrics, the weaving effects, and I created a facade that would explore these elements,” the architect explains. “This white softness is like the couturier’s toile when he’s at work. It has a sense of movement that plays with light. This sculptural suppleness was my starting point.” The House archives also inspired the building’s final form: the movement of those immense architectural sails is strongly reminiscent of the dresses Cyclone and Cocotte, designed by Christian Dior in 1948. With the House of Dior building , his two great passions, for haute couture and architecture, come together in a unique creation. 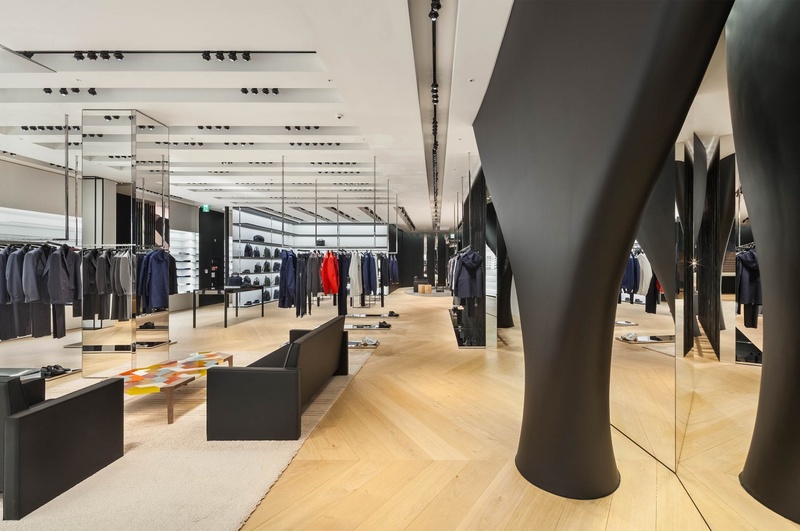 All the building components were manufactured and assembled in a close collaboration between the Korean teams working on site, those of Dior and those of the architect. When all the parts have been made, they need to be transported to the workshops where they are made up specifically for the future store. The resin shells that figure the draping measure up to twenty meters high, and necessitate unprecedented logistical efforts. Each, carefully loaded onto and fixed to a gigantic trailer, is transported in a special convoy and escorted by police cars. The highways and Seoul streets on which this titanic procession passes are even blocked for the occasion. And the operation is repeated for each of the facade’s eleven components. Upon arrival at the site, two cranes are required to lift them, raise them vertically and adjust them. It’s work that’s as colossal as it is careful and meticulous: the space between them must be precise and positioned to the letter, to give them the opportunity to move slightly. But also to reveal the subtle gap appearing in the seams of the building, which is ready to welcome its first visitors. Click here for interview with the architect. Peter Marino worked on the interior using materials such as wood, lacquers, and leathers. 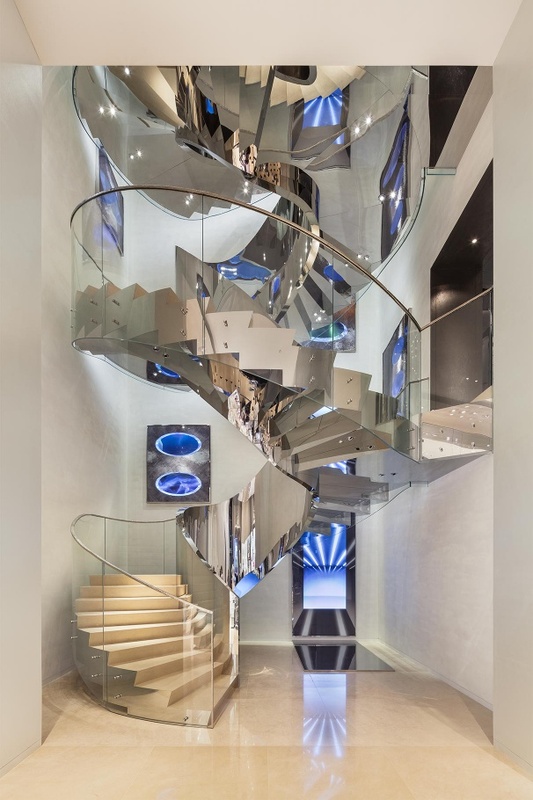 The staircase is conceived as an unfurling ribbon that guides shoppers to the women’s ready-to-wear collections, leather goods, shoes, jewelry, watches and perfumes. But also to the Dior Homme space, and to an art gallery with a private salon where paintings by Marc Polidori, among others, are on show. This beautiful video takes you for a tour in the beautiful building. 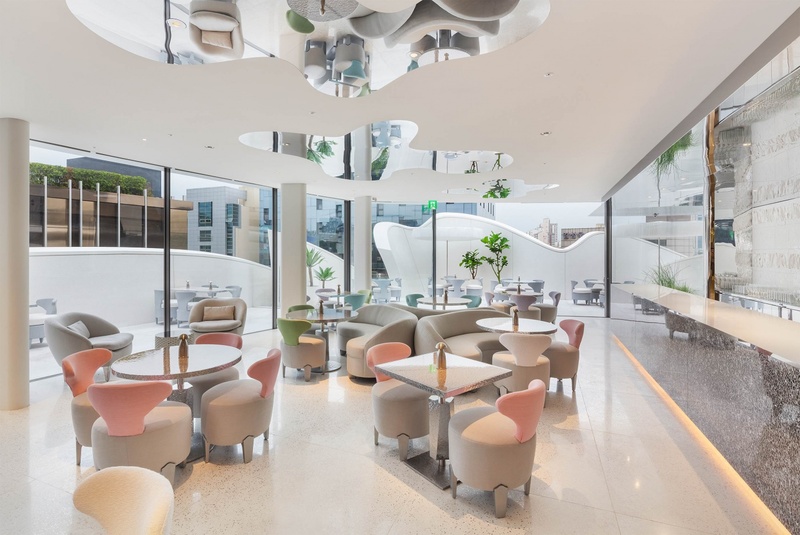 On the top floor, you will find Café Dior by Pierre Hermé. Pastry chef extraordinaire Pierre Hermé has developed an exclusive offering for the House. The menu at the Dior Café by Pierre Hermé Flavors from far-off lands and culinary discoveries, whose creative process he discusses in Dior’s exclusive interview. It opened on June 20, 2015.